It’s the seventh time Sweden hosts the European Figure Skating Championships, but the first time Stockholm has since 1912. Back then there was only one title on offer and it was won by the home country’s own Gösta Sandahl who beat Russian Ivan Malinin. It’s unlikely that a Swede will win one of the four titles that are contested these days or even medal, but Russia will likely feature on all of the podiums. The last time Europeans came to Sweden in Malmö in 2003 Russia swept all four gold medals. The likelihood is that the same feat won’t be repeated in 2015, but chances are that Russia will win the lion’s share of the medals. Not even Evgeni Plushenko or Alexei Yagudin could manage to win three European titles in a row and if Javier Fernandez does what those two great skaters could not he will become the first man since Alexander Fadeev (1987-1989) to do so. The main rivals who will try to prevent that from happening will probably be last year’s silver medallist Sergei Voronov and Russian champion Maxim Kovtun. Former European champion Florent Amodio and 2013 bronze medallist Michal Brezina will be seeking to return to the rostrum again. The ladies’ event looks set to be dominated by Russia with Elizaveta Tuktamysheva and Elena Radionova, who are the co-favourites to take the title. Tuktamysheva claimed the Grand Prix Final title in December with Radionova the runner-up. These positions were reversed at Russian Nationals later on in the month when Radionova came out on top. Incredibly, last year’s European champion Julia Lipnitskaya could only manage ninth at the same event and will not be in Stockholm to defend the title she won in Budapest. Anna Pogorilaya got the final spot on the Russian team and will be aiming to convert that to a medal. 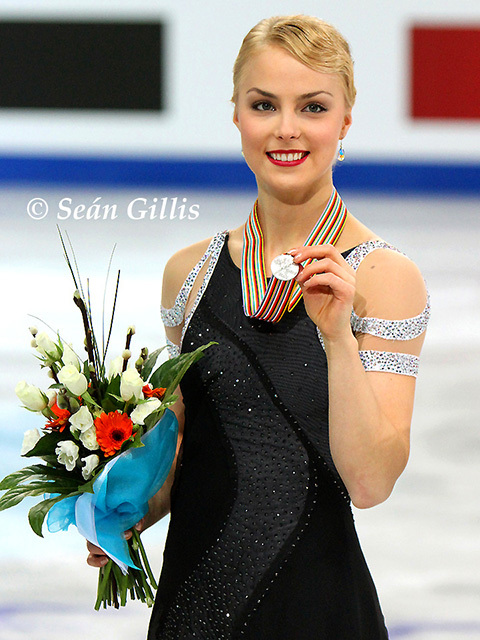 After sitting two years out through injury, Kiira Korpi returns to Europeans for the first time since 2012 when she won a silver medal in Sheffield. The Finn has also won two bronzes previously at the event as has Elene Gedevanishvili, although the Georgian is not expected to feature amongst the medals this time. Swedish sisters Viktoria and Joshi Helgesson adorn billboards all over Stockholm and will be looking for the stars to align so that they can place highly. France’s Maé-Bérénice Méité is another skater to keep an eye on. 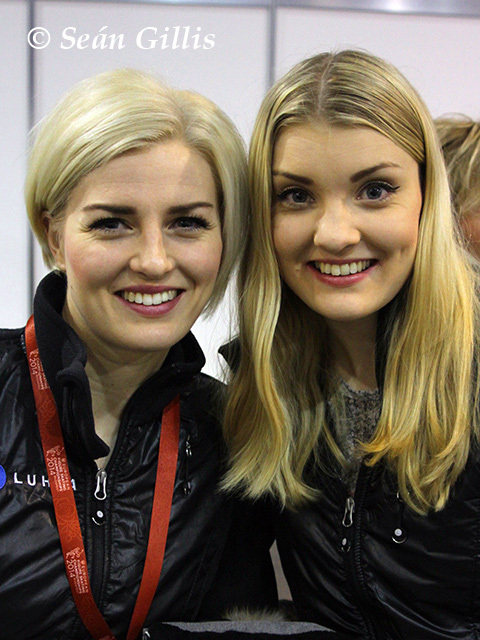 As with the ladies, Russia is head and shoulders above the rest of Europe at the moment in pairs. Ksenia Stolbova and Fedor Klimov took silver last year and are expected to be the couple to beat in Stockholm this week. 2010 European champions Yuko Kavaguti and Alexander Smirnov are back competing after being forced to miss most of last season after Smirnov ruptured his right patellar tendon. They returned strongly at Nebelhorn Trophy and Skate America, but struggled at the Grand Prix Final. Evgenia Tarasova and Vladimir Morozov make their debut at Europeans as Olympic champions Tatiana Volosozhar and Maxim Trankov are taking a break this season so that Trankov can rehabilitate a shoulder injury. Valentina Marchei will also make a debut at Europeans; this time as a pairs skater with new partner Ondrej Hotarek. Anna Cappellini and Luca Lanotte will attempt to retain the title they won in Budapest even though this season so far has not been plain sailing for the Italians. They showed up at Cup of China visibly unprepared and were defeated by Gabriella Papadakis and Guillaume Cizeron. The French have been installed as favourites, but Cappellini and Lanotte should not be counted out just yet. All the conscious and unconscious uncoupling in Russian ice dance after the end of the Olympic season means that none of the teams who skated in Budapest will be in Stockholm. Elena Ilinykh and Ruslan Zhiganshin are the only surviving members of the class of 2014 and their ascent to the top of Russian ice dance has been rapid. They may not be able to bridge the gap between the top two teams quite yet, but judging by how they have been scored so far this season they may sneak a bronze. Penny Coomes and Nicholas Buckland will try to deny the Russians and stand on the podium again after winning bronze last year. The British were unfortunate to miss out on qualifying for the Grand Prix Final when they had a nightmare of a free dance at NHK Trophy. Ticket sales have reportedly been on the slow side and the high cost of coming to Sweden may have impacted on the numbers of fans from overseas travelling to the event. It has to be said that post-Olympic Europeans tend to be a hard sell, but who knows? It might be the perfect time for a new star to make a name for themselves.